A trip to the Ritz-Carlton Reserve resort in San Juan, Puerto Rico is the ultimate way to celebrate your post-wedding bliss. Dorado Beach is everything you could hope for in a beach vacation. 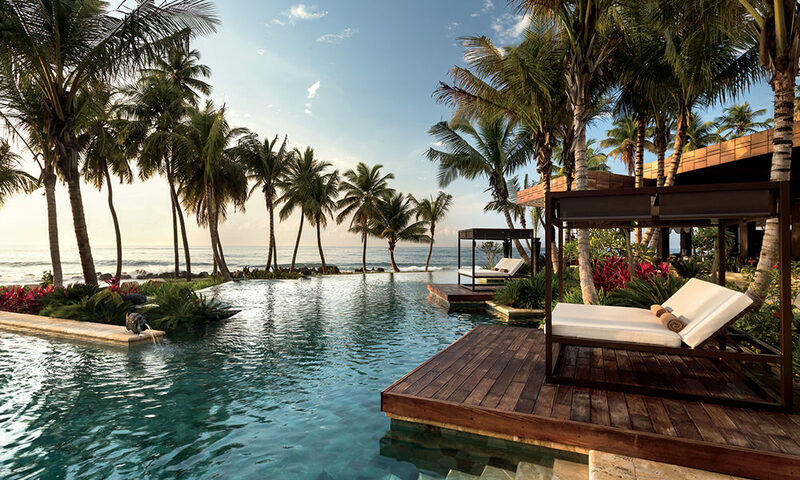 After you’re done with the perfect “I do’s” and the last of the beer cans have come untied from the back of the rented Bentley, you need to say “I don’t” to the everyday, clichéd, destination beach honeymoon and say “Yes, please” to the wonder that is Dorado Beach, a Ritz-Carlton Reserve resort that’s a 40-minute drive from San Juan, Puerto Rico’s picturesque capital city. If you want everything you could hope for (and who doesn’t want that?) in a beach vacation, Dorado Beach is the perfect honeymoon spot for you. Let’s count the ways: Muay Thai stretching massage in a treehouse spa? Yep. A Natura Bisse age rewind facial extraordinaire, administered in an all-glass pavilion dropped into a curated and protected tropical sanctuary? Uh-huh. Windsurfing, biking, kayaking or a Tournaments Player Club round of golf? Definitely. And any other fantastical whim on your must-do list can be arranged with a mere press of a button. I mean, “perfection” is the word that comes to mind. Where to begin our honeymoon? How about sipping a handmade cocktail and squishing some pink-white sand between our toes? I know, right? Dorado Beach is a dream fulfilled, largely because its overseer of distinction, The Ritz-Carlton Reserve, is six-star in mindset, and the resort was inhabited by one of the members of the legendary Rockefeller family—after all, they wrote the book on finery. But this crown jewel of Puerto Rico has always had one goal: formal, world-class hospitality served up in the most relaxed way. It’s so special, so necessary even, that you’ll thank me for a lifetime for recommending this corner of the planet. From the moment your driver pulls up to the imposing, gated entrance, your honeymoon game is on! You will be coming back to Dorado Beach. That, I can guarantee.